The last child project was created within the exhibition of the nominees for the PinchukArtCentre Prize in 2015. The project consists of three equal parts: a book-shaped object, a three-channel video, and salty water from the Azov sea. Each of the parts “reveals” a separate chapter of the story in its own way. The “book” is made of the metal from freight-cars (the Crimean Tatars were deported from Crimea in such freight-cars in 1944). The object is 330 kg of weight. The unwieldy pages of the book symbolize the burden of the tragedy and the memory of the victims. The three videos, which show the important places in the story of the deportation, are projected on three screens: the Crimean heath (native land), the Uzbek desert (the place of exile of the vast majority of the Crimean Tatars), and the Azov sea, where the families of fishermen and salt miners, who lived at the Arbat Spit, were drowned. The third object – the water from the Azovsea, keeps the memory of this tragedy. 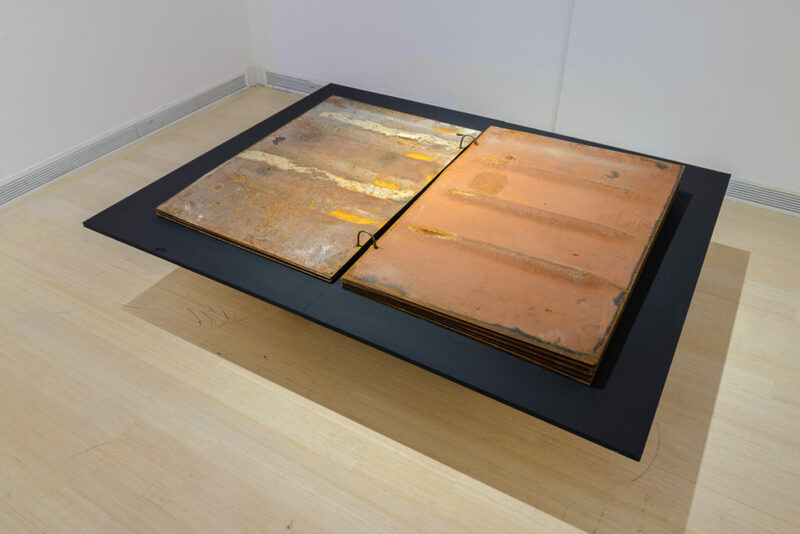 Throughout the exhibition, the water evaporates, leaving a salty trace on the surface of a traditional plate – it is an abstract symbol, which, at the same time, is the memory of the drowned. The tragedy of the Crimean Tatar people happened in the previous century, but it is very relevant in the context of the latest events in Ukraine. It is a local story, but at the same time it is understandable for any nations that suffered from genocide, compulsory deportation, and migration or oppression on the national grounds. In connection with the latest Crimean events, the author calls to talk about these problems as much as possible, to tell the real stories, giving the possibility to display the very depth of the tragedy, which must not be ever repeated.